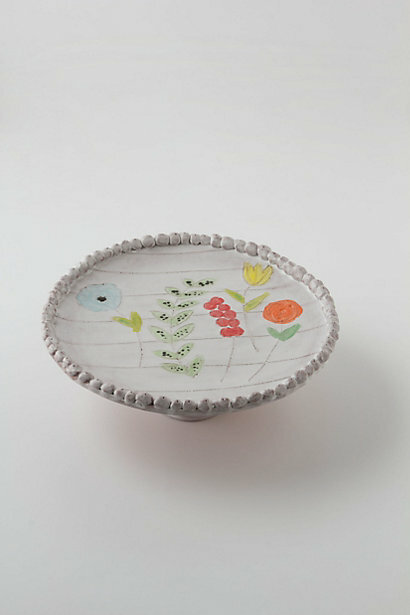 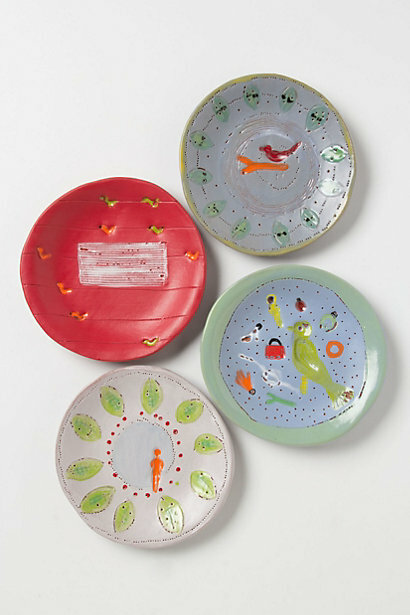 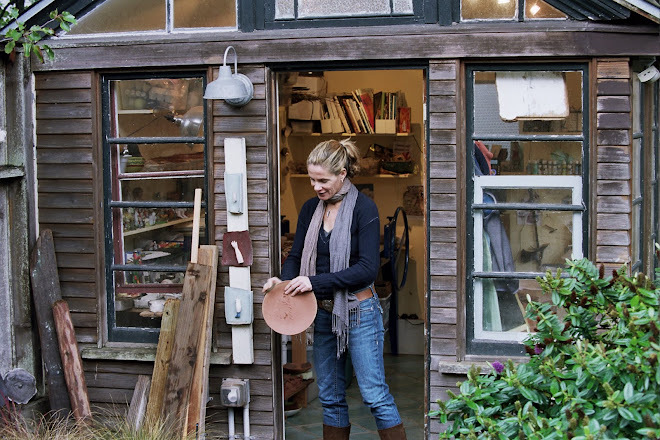 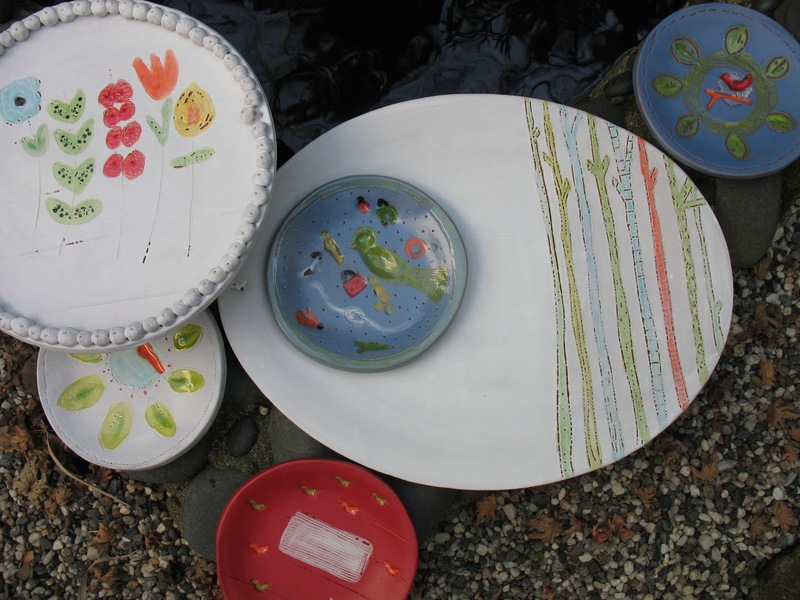 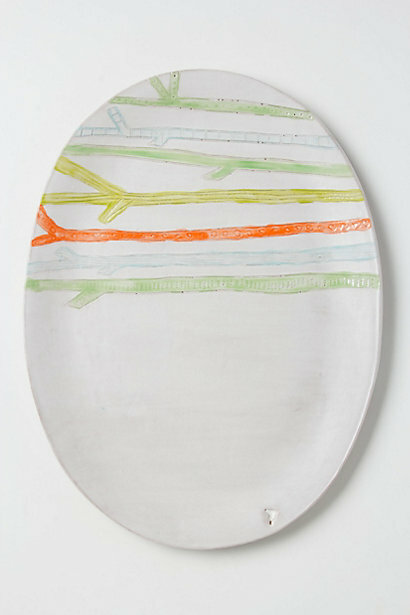 urban chicken coop myths and tales: springtime at anthropologie..
several new pieces now available exclusively online.. 4 colors/designs on the always useful round appetizer plate- perfect for just about anything. 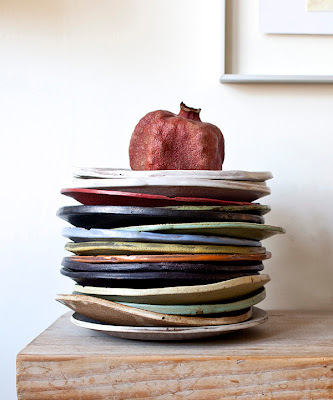 I like to keep stacks of these in my kitchen and dole them out all day long...sandwich, piece of pie, small salad, muffin--lunch for my parakeet kiki..
so spread the word! great for those of you who like instant gratification instead of waiting and ordering..all handmade by me, piece by piece, so variations in exact design will occur--that's the beauty of it all..